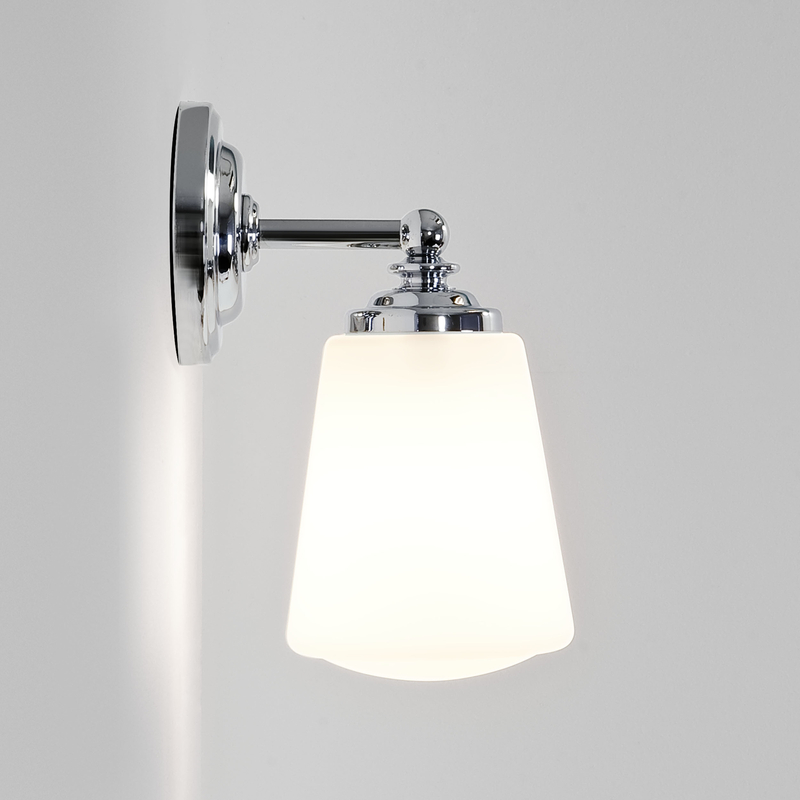 The Anton wall lamp by the manufacturer Astro Lighting. It consists of a composition of two elements: the structure in chromed metal and the slightly conical shaped, downwardly opening screen of milky glass. Especially the installation of Anton Wall Light is in the bathroom where the light of this splash-proof lamp by Astro Lighting comes to wonderful effect.